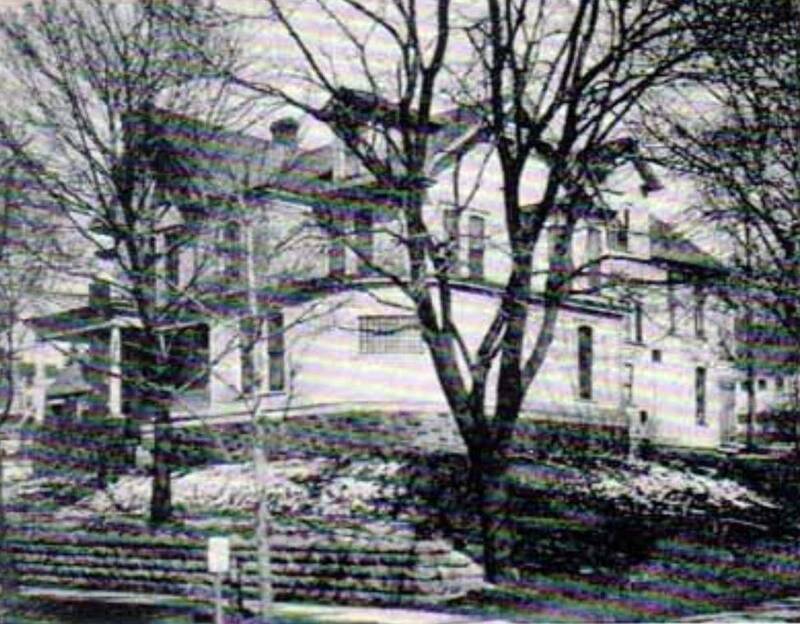 In the summer of 1944, the Clearfield Cheese Company located in Curwensville bought the C. Seymour Russell property located at 841 State Street, Curwensville, PA. The owner's asked the Curwensville Rotary Club to help sponsor the project and a committee was appointed by the present of the Rotary to steer the project along until it could take care of itself. The center became known as the "Curwensville Civic Center" or "Youth Center". After many weeks of planning to work out the details for a permanent organization the steering committee brought out a plan whereby every organization in town would send representatives to a general meeting in the high school. At a subsequent meeting, these incorporators met and elected 15 of their number to serve on the Board of Directors. First Officers: Charles B. McCarl, President; J. Hamer Tate, Vice-President; Miss Dorothy Davidson, Secretary; Miss Louise Karstetter, Treasurer. The 15 Board of Directors in total included Harold Boalich, William Pratt, Miss Dorothy Davidson, Mrs. John Hugdson, Sr., Mrs. Glenn Warnick, Glenn Warnick, James Ardary, Abram Whitaker, Hamer Tate, and Miss Louise Karstetter. John V. Lewis, of the high school faculty, was appointed to head a committee to organize the "Teen Agers" into a solid group. At a general meeting of this committee held on December 8, 1944, a temporary organization consisting of two members of each class from the 7th grade through the 12th grades was set up. On January 5, 1945, all members of the "Teen Agers' met and elected permanent officers. They were: President Ronald Myrter, Vice-President Lemoyne Westover; Secretary Ann Hudson, and Treasurer Bettey Ardary. Today's renamed Curwensville Community Center was constructed in 1967-68 at 11 Stadium Drive next to the Curwensville School District's football stadium. It is a nonprofit 501(c)3 charitable organization that serves the immediate Curwensville and surrounding seven-county region in providing a meeting place for private parties, local service organizations, businesses, and learning institutions hosting a variety of cultural, educational, recreational and social activities. The "Civic Center" more commonly referred to by local residents is governed by a Board of Directors and is grateful to the United Way and to our generous supporters like you who donate each year!